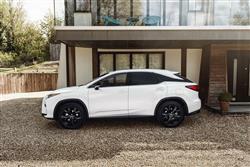 Car and Driving's Family of the Lexus RX Range. I don’t know about you but I struggle with the whole idea of taking a Lexus off road. It will be the same when Rolls Royce (inevitably) brings out one of these luxury 4x4s. You just can’t get the core brand values out of your head and brand values for cars like these don’t have much to do with mud. The last time I went over to the States, I noticed that Lexus dealers there were selling a rebadged version of Toyota’s chunky, utilitarian-looking Land Cruiser V8. Now that would be a bit easier to take. 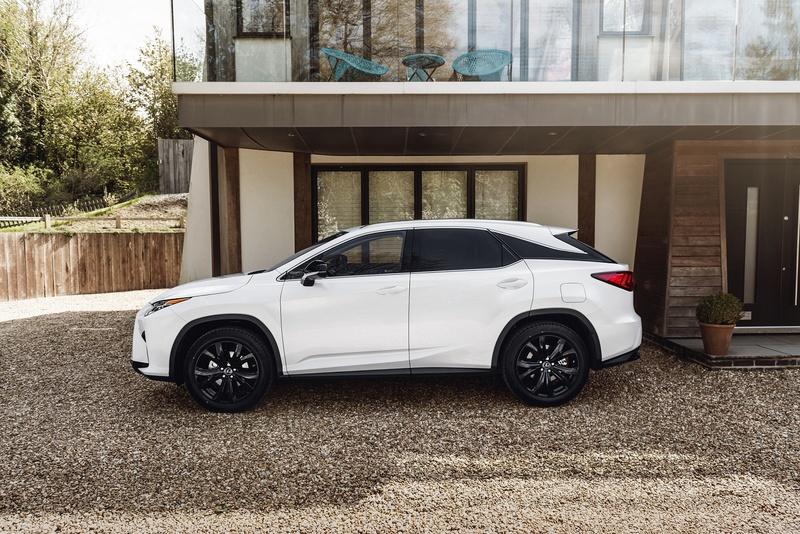 But the latest fourth generation Lexus RX I’ve been driving here looks so sporty, so suburbia that my local green laners would laugh themselves silly if I took it along to one of their mid-plugging meets. Having said all that, it’s difficult not to covet this car. You can just see the envious glances down at Tesco and the commuters scuttling out of the way as you bear down on them in the fast lane. I loved the sleek shape which gives the car a rather dynamic, futuristic look that appears a little smaller than the class norm. Despite this, we found the plush cabin to be pretty spacious, this MK4 model sitting its passengers 19mm lower for better headroom. Lexus has paid special attention to the comfort of rear seat folk and by lowering the rear floor section has produced a seating position that bears comparison with the LS limousine. Cargo capacity is much as before and remains slightly compromised in hybrid guise, though will be sufficient for most owners. 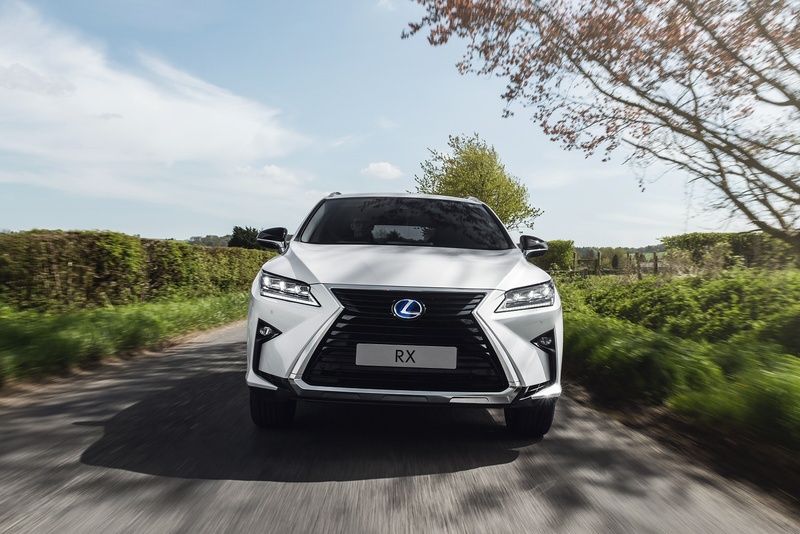 At the wheel, owners familiar with the previous RX model will find fewer changes to catch the eye, with a dashboard divided, as before, into upper and lower zones. 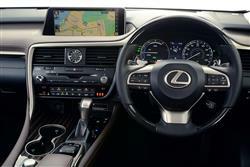 Through the lovely leather-stitched wheel, you glimpse instruments that have a beautifully choreographed lighting sequence when you enter and exit the car, the lefthand dial, as usual with Lexus hybrids, being a hybrid indicator rather than a rev counter, encouraging the driver to keep the needle in the blue ‘Charge’ and ‘Eco’ segments rather than the white ‘Power’ section above. Otherwise, things are much as you’d expect from any Lexus. I love the little touches, like the way the dual-speed electric windows automatically slow at the beginning and the end of their opening and closing sequence, so as to reduce cabin noise and vibration when you’re on the move. Build quality is beyond reproach, though the use of Toyota switchgear (for those electric windows for example) does lower the tone slightly. So what’s it like? 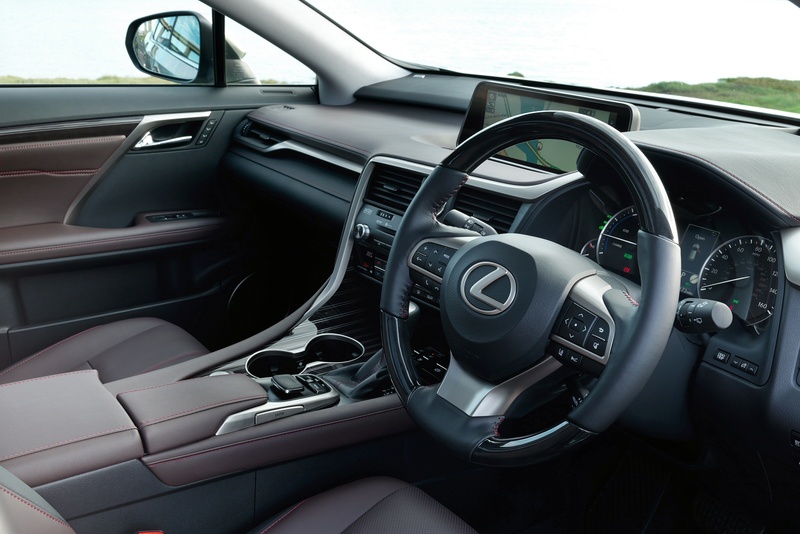 Well in the hybrid version I tried, you get in, luxuriate in the beautiful leather seats and enjoy the commanding SUV-style driving position before pressing the starter button to be greeted by.. nothing. The engine’s running, true enough. It’s just that at this point, it’s doing so silently under battery power alone and if you’ve a gentle right foot, that’s all it will continue to use at speeds of up to 30mph before the 3.5-litre V6 petrol engine kicks in, controlled via a six-speed CVT auto gearbox. But before I go any further, time perhaps, for a recap on hybrid technology. In case you’re still unfamiliar with it, essentially this is a method of power that uses a combination of an internal combustion engine and electric motors. The petrol unit in question here is the 308bhp 3.5-litre V6 I’ve just mentioned and is supplemented by no fewer than two electric motors, with one located on each axle. The E-Four 4WD system’s functions have been tuned for better response when accelerating through bends: there’s no mention of off piste ability. 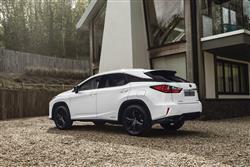 Lexus doesn’t think potential buyers will be interested - and they’re probably right. 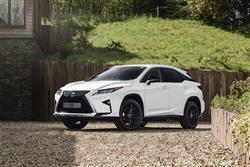 If you don’t want a hybrid, there’s a conventionally-engined RX 200t variant, which offers 235bhp and, assuming you avoid the 2WD-only entry-level ‘S’ version, comes with Lexus’ proactive AWD system. 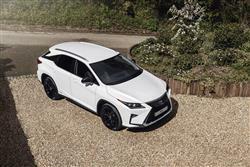 Across the RX range, the steering and suspension have been uprated but other rivals still offer a more involving drive. 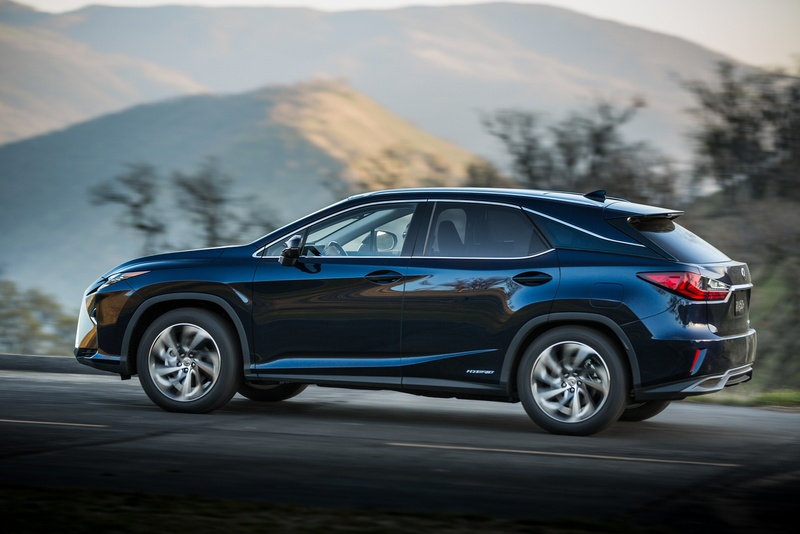 The RX is still one of the most comfortable, refined SUVs in its class though. 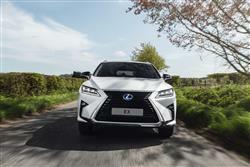 ‘Versatile’ in Lexus language means five doors, a high driving position and enough four-wheel drive ability to make it across a ploughed field or tow a trailer out of a boggy car park. 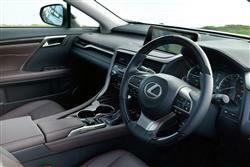 Just the attributes boasted by the car’s direct £40,000-£50,000 luxury 4x4 rivals. 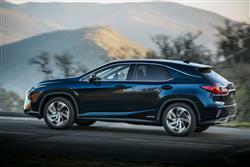 Lexus is used to this kind of competition - and used to making its rivals look mean when it comes to specifications. The standard model includes just about everything you can imagine as standard. Careful pricing also puts this car within reach of those who might also be considering top versions of family off roaders like Land Rover’s Discovery and Jeep’s Grand Cherokee. It may not be as tough or as practical, but in comfort terms, it’s in another world. If you’ve never been prepared to make the comfort compromises demanded by traditional plush 4x4s, this car will make you think again. 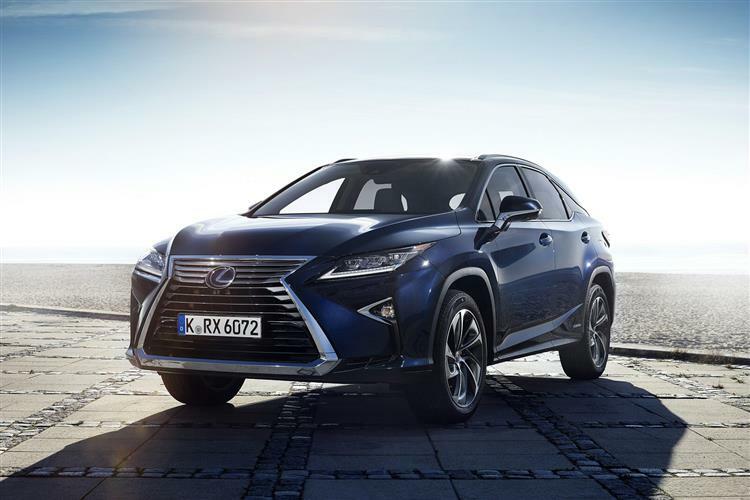 You can understand why the Lexus RX has been such a hit across the Atlantic in the market it was obviously designed for. It delivers, quite simply, what the shape and the badge promise: a Lexus luxury experience for those who want occasionally to venture slightly off the beaten track and need a more versatile alternative to a smart saloon. As a compromise choice for those undecided between a plush family 4x4 and a real luxury 4x4 model, it takes a lot of beating.